Meet Jeeves , the world’s most famous valet and P.G. Wodehouse’s best known character. The name Jeeves has come to symbolise the epitome of efficient service to millions who’ve never even read Wodehouse. Among fans, he is spoken of with a reverence usually reserved for deities. And how many of us have wished for a Jeeves in our lives? 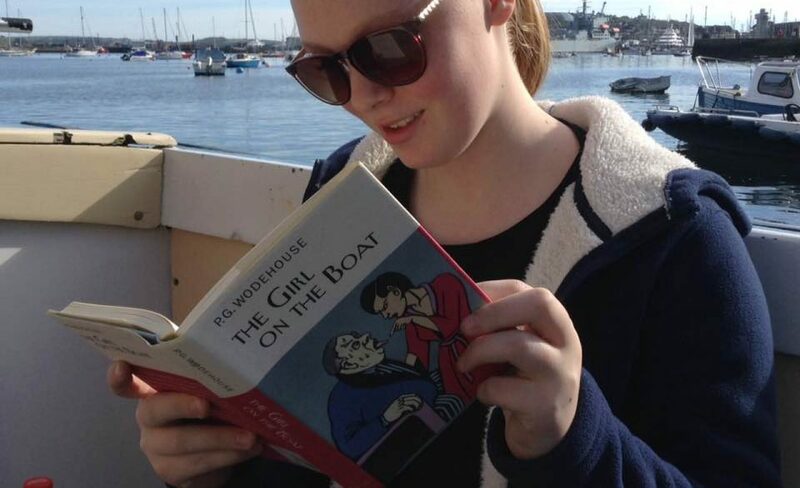 But is this rosy view of Jeeves as Bertie Wooster’s domestic saviour justified, when so often it is Jeeves who contrives the situations from which Bertie must be rescued? Nor is his support lacking in self-interest. In Wodehouse’s idyllic world, is Jeeves more serpent than servant? The story of Jeeves’ introduction to the Wooster home is told in ‘Jeeves Takes Charge’ (Carry On Jeeves). Jeeves enters Bertie’s employment after Bertie’s previous man, Meadowes, is caught pinching his socks. I was reluctantly compelled to hand the misguided blighter the mitten and go to London to ask the registry office to dig up another specimen for my approval. They sent me Jeeves. Jeeves enters in style, his almost supernatural powers evident from the first. …he floated noiselessly through the doorway like a healing zephyr. That impressed me from the start. Meadowes had had flat feet and used to clump. This fellow didn’t seem to have any feet at all. He just streamed in. Jeeves’ first act is to mix Bertie a hangover remedy that instantly transforms his new employer from a weakened state, winning his approval. A page after his arrival however, Bertie notices ‘…a kind of rummy something about his manner’ when Bertie announces he is engaged to Lady Florence Craye. A page later, Jeeves conveys his disapproval of Bertie’s check suit. Again there was that kind of rummy something in his manner. It was the way he said it, don’t you know. He didn’t like the suit. I pulled myself together to assert myself. Something seemed to tell me that, unless I was jolly careful and nipped this lad in the bud, he would be starting to boss me. He had the aspect of a distinctly resolute blighter. When Florence orders Bertie to destroy his Uncle Willoughby’s memoirs (which contain some rather fruity stories about her father), Bertie obeys. He pinches the manuscript and asks Jeeves to dispose of the remains, but Jeeves posts it directly to the publisher. When Florence cancels their engagement, Bertie is appalled to discover Jeeves’ deliberate interference in his affairs — and sacks him. He speaks at length of Florence’s bad temper, her reputation in the servants’ hall, and her plans for Bertie’s education — having started him on Types of Ethical Theory, she was preparing to introduce him to Nietzsche. On reflection, Bertie sees that he is well out of the engagement, and we feel relieved for him. But he reinstates Jeeves without pausing to question Jeeves’ methods or motives. It is certainly in Jeeves’ interests to remove Lady Florence as a dominating force in Bertie’s life (as he does with Bertie’s later love-interests). Even if we feel Jeeves’ motives are sound, his underhanded methods are not. To interfere in the love-life of a friend is a moral grey-area, but as a new employee it definitely crosses the line. Poor Bertie is too preoccupied with his lucky escape from Florence Craye to appreciate that he may have succumbed to an equally dominant force in Jeeves. I hesitated a bit. I had a feeling that I was passing into this chappie’s clutches and that if I gave in now I should become just like poor old Aubrey Fothergill, unable to call my soul my own. On the other hand, this was obviously a cove of rare intelligence, and it would be a comfort in lots of ways to have him doing the thinking for me. I made up my mind. He looked at me like a father gazing tenderly at the wayward child. And so, like the young Dorian Grey, our hero Wooster makes his pact. If this was the first installment in a sci-fi serial, we would have sufficient clues to mistrust Jeeves’ and gnash our teeth between episodes in fear for Bertie’s safety. But somehow we do not. We too are under Jeeves’ spell. Snake or saviour? What do you think? I would liken Jeeves to the great wizards of fantasy, like Gandalf, Merlin or Allanon: wise beyond reckoning and loyal to a fault, but he has his own purposes which he keeps to himself, and he won’t hesitate to put those he cares for in harms way if it will serve the greater good. I think you’ve touched on something there with the supernatural wizardry element. I’ve spent the weekend at home with a cold, watching bad sci-fi — the sort of series where the hero is never sure who to trust, and everyone is hiding something. I thought it might be interesting to look at Jeeves from a different perspective, and I was surprised to find all the ingredients of a potentially shadowy figure are there. Of course we know Bertie comes to no lasting harm, but Jeeves does put him through a few ordeals. But ultimately Bertie comes through those ordeals better off, even if not entirely unscathed. That’s why I’d hesitate to cast Jeeves as the villain. I think he’s good. But that doesn’t mean he’s nice. I agree, he is definitely not a villain, but his methods are pretty tough and his motives often hidden from our hero. That makes him less than straightforward — a more shadowy figure than I’d appreciated before now. Your thinking of him as Merlinesque is spot on. Whoa! Very well thought out! Your article could change how people view Jeeves forever.. 🙂 More like a necessary evil than Bertie’s guardian angel. Thanks. I wasn’t quite sure where I was headed with this one. Just an idea I thought I’d explore. I’ve always felt there was a ‘darker side ‘ to Jeeves. But it’s all in fun — I would hate to upset the apple cart. He’s a wonderful character– we certainly believe in his ability to make almost anything possible. That sort of power has to have its darker side. He puts Bertie through some ordeals, but at least we know he won’t let Bertie suffer lasting harm. Perhaps… I wonder if Bertie would have disliked being married to Bobbie. She was his ideal until the hot water bottle gag put him off. Yes. Life would be full of larks, that’s for sure. As the capitalist says, supply is the key that charms the lock of demand. I’ve always considered Jeeves to be a eminence gris type character. Like Gandalf, but more hands on. The scenes at the Junior Ganymede club are a little chilling though. It’s not just Jeeves who considers himself to be the keeper of his employer. Yes, I think that’s an excellent description. Many characters come to consult Jeeves in that sort of capacity, although… they don’t always get the outcome they’re hoping for. Bingo Little and the waitress Mabel is a good example. This comes as a fresh perspective on the world famous gentleman’s gentleman. In management, we speak of teamwork. In life, we have the institution of marriage. Both have this element of mutually beneficial relationships. One is good at something, another is good at something else. Overall, the success prospects for the team brighten up. Much like this, if Bertie is mentally negligible, whereas Jeeves is not, the team does rather well for itself, spreading cheer to all those they come in touch with. To be honest, Bertie is also not all that weak in the intellect. In ‘The Mating Season’, of his own initiative – without consulting Jeeves – he travels overnight so as to intercept a letter about to get delivered to Madeline Bassett. Subsequently, Jeeves pitches in with his own initiatives to ensure that Bertie retains his bachelorhood. Great and well thought-out post, as always! You have hit upon something that always nags at me. Bertie is not so daft as his reputation supposes him to be. He is self-depreciating about his mental powers — and compared to the intellectual giants he would have encountered during his years at University, it’s a fair assessment. But he often shows himself a shrewd judge of character, and quick to learn under Jeeves’ care. He’s not a mental giant, and doesn’t come close to the exceptional Jeeves, but Bertie isn’t really a dimwit. He does lack seriousness and ambition, but a lack of these traits is far more appealing than an excess. Nor do they necessarily equate with intelligence. I don’t think Bertie’s weakness is low intelligence, but a lack of backbone. The slightest whiff of pressure or blackmail and he will do just about anything. This is where Jeeves comes in handy — to ensure Bertie is always restored safely to the home afterwards. As Jeeves’ methods are tailored to the psychology of the individual, he often takes advantage of Bertie’s weakness in achieving their mutually desired ends. But he also uses this to his own advantage. As you suggest, they are a partnership. And like most marriages or teams, roles and power are not always equally distributed. Aside from his superior mental gifts, Jeeves frequently withholds crucial information from Bertie. This is a classic sign in a workplace team that someone is looking to hold power. Happily for the Jeeves and Wooster partnership, Bertie allows Jeeves to take charge — any clashes of wills result in Bertie yielding to Jeeves wishes. That’s why I posed the question. The verdict of responses seems to endorse the view of Jeeves as saviour — and sage. I don’t say that I disagree, but even so, the relationship isn’t an entirely healthy one. Then again, few relationships are. So very true. Together, they do make a formidable pair. The likes of Pop Bassett and Aunt Agatha are no match to their machinations. I would surely wish to reblog this post some time soon! You are very welcome Ashok. Great topic. I believe Jeeves is a “saviour” for Bertie and company but only because it serves his (Jeeves’) interest. In this modern world of ours we have very little contact with butlers, gentlemen’s gentlemen or servants in general (at least I don’t!) but they would have been very much a part of PG Wodehouse’s world. It would seem our Favorite Author chronicled the adventures of Jeeves and Wooster using elements of the real milieu he knew: a rich young man of leisure considers his valet as a sort of uncle whereas the valet, though probably fond of the young master, has to earn a living and makes the most of all his skills to do so. Jeeves himself explains it in “Bertie changes his mind” as having “resource and tact”. I suppose the closest we get in the present day to that type of employer/employee relationship is when we stay in a fancy hotel: as guests we expect, and hopefully appreciate, the good service we get, but for the staff we are a source of income. It’s just that Wodehouse makes it seem all so fabulous! Thanks Corky, for your ideas on this. You’re quite right — it’s very difficult for us to put ourselves in the shoes of Bertie or Jeeves, as our lives are so different (or at least, most of us). Someone else touched on this earlier too — it must have been hard for Jeeves to be subservient to someone so far beneath him intellectually. But both make the best of the arrangement. Given an opportunity, would you hire Jeeves? Many of us would jump at the prospect. With a super human intelligence by our side, life could be so very smooth. But some of us may brood. We might resent our being taken for granted. Our fiercely independent soul may revolt at the prospect of submitting to his superior intelligence. Which school of thought do you belong to? Here is yet another juicy post from Plumtopia which examines this question in depth. As always, it endeavours to provide satisfaction! Were I as daft as Bertie, I would most certainly need to employ Jeeves. As to whether he is a saint or a serpent, Jackie says he is a servant, which is some way in between. What ho. Thanks for dropping by. Yes, definitely somewhere in between, although I’m not sure Bertie is quite so dim that he couldn’t survive with Jeeves. The partnership is a happy one, despite Jeeves’ methods. It wasn’t until last year, while reading a stack of Wodehouse, that it dawned on me that Jeeves was really quite “rough” on poor Bertie. I pointed it out to my husband, who was surprised I hadn’t noticed. He said that a servant outsmarting a master and scoring off of him is a time-honored literary motif. I defended myself for not noticing, saying I had been caught up in the humor of the writing. He explained patiently that the servant/master trope _is_ a large part of the humor. I prefer my state of innocence when I just admired Jeeves’ ability to untangle messes. Yes indeed. I think Don Quixote is the classic example of this. There are also lots of amusing unreliable narrator examples. A lesser known example, but brilliant, is ‘Such is Life’ — an Australian classic by Joseph Furphy (writing as Tom Collins). As you say though, knowing this (or not knowing it) makes no difference to us as Wodehouse readers. Wodehouse was widely read and knew the tradition in which he was writing, but he did not require us to know it. There is nothing elitist about him — which is just one of the many things I love about Wodehouse. Would you know if Jeeves plays golf? I don’t recall ever reading of Jeeves playing golf. Reasonable points made. Why would Jeeves want to work for anyone else, he is clearly running the show and knows it!! Makes up for the poor wages! I look forward to reading this. Thanks. I think there is development of a sort. 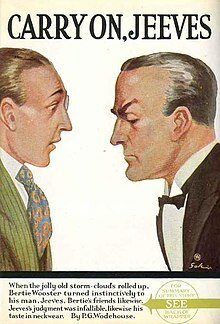 Bertie learns from Jeeves, which is reflected in his speech and his attempts to solve certain problems without Jeeves’ help. He also gets a bit smarter about spotting trouble on the horizon and avoiding it. Jeeves remains inscrutable, but the mask slips from time to time.